Fielding an assortment of aids, this PowerWing Literature Holder For Pet Brochures provides a central location for care information regardless of small pet type. It is apparently a popular stop for shoppers as most categories were depleted and in need of restocking. Might I suggest that if you implement similar solution you alphabetize the brochure order, or categorize to make browsing and selection more efficient. 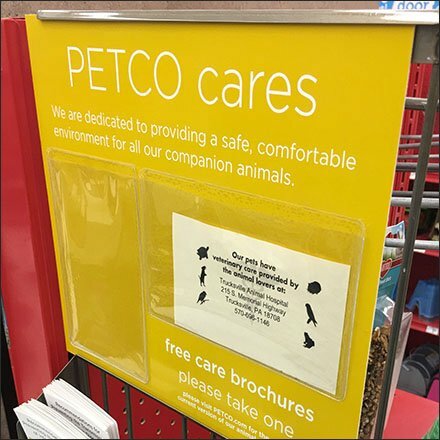 Browse the gallery of images and follow related links for deeper This PowerWing Literature Holder For Pet Brochures seen at Petco.